Ubisoft has presented its financial results report for the first quarter of the fiscal year 2017 and there we learned of its plans regarding the launch of more titles for Nintendo Switch and the results that Ghost Recon: Wildlands made as the biggest success of the year for the company. Obviously, you could not miss the mention for Assassin’s Creed Origins and Ubisoft’s expectations about the game in terms of sales. Both Ubisoft CEO Yves Guillemot and the company’s chief financial officer, Alain Martinez, are optimistic about the sales of the new Assassin’s adventure. As part of its latest financial report, Ubisoft revealed that the sales expectation for Assassin’s Creed: Origins are positive but at the same time, they are aware that it may not reach figures like past titles because the primary objective at this time is to rebuild the credibility around the series. Ubisoft has reported that they expect Assassin’s Creed Origins to sell little more than Assassin’s Creed: Syndicate, a title that by June of this year has sold approximately 3.59 million copies worldwide. However, the company does not foresee that the next title surpasses that sold by Assassin’s Creed: Unity, which as to June of this year has sold 4.6 million copies. The company said it is aware of the situation that goes through Assassin’s Creed after some stumbling in the past that have generated a bad reputation for the last games of the series. 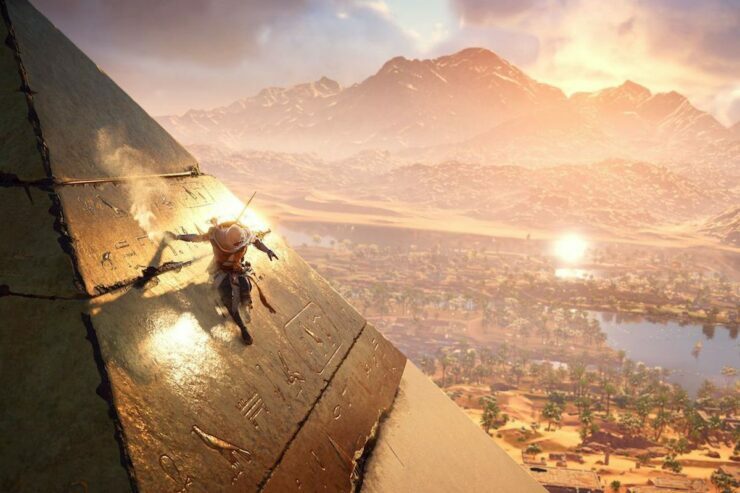 In this sense, Ubisoft is committed to rebuilding credibility from Assassin’s Creed Origins and they are expecting that the game will turn out to the liking of players and that this manifests in the sales of the title. Assassin’s Creed Origins will launch on October 27 on PS4, Xbox One, and PC. How do you think that the new Assassin’s Creed Origins will turn out? Let us know about your opinion in the comments below.